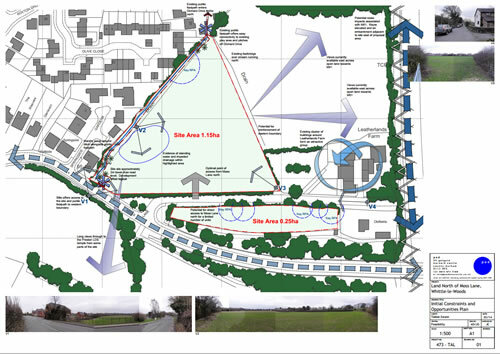 Partner, Richard Percy, has secured outline planning permission for up to 32 dwellings on a greenfield site at Moss Lane, Whittle-le-Woods for clients the Talbot Estate. The site is part of a wider area of land allocated for housing in the emerging Chorley Local Plan 2012-2026 and is located to the west of the M61 motorway. The team which promoted the scheme included Pod Design, WYG Transportation and ERAP Ltd (Ecologists). A comprehensive pre-application process included discussions with the local planning authority (Chorley Council), a public exhibition and a dedicated website. Work is now underway on a second Talbot Estate site in Euxton, also in the Chorley Borough.